Whether you live in Oro Valley or Blenman Elm, hardwood floors can be a stunning addition to your Tucson home. But to keep your floors as beautiful as the day they were installed, you need to show them a little TLC from time to time. 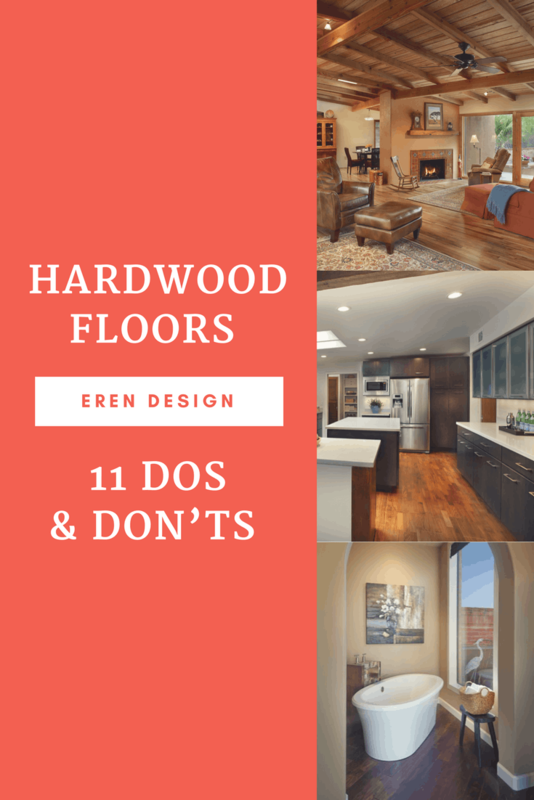 The following dos and don’ts will help you care for your hardwood floors so they last for generations. DO: Always Wipe Up Spills Immediately – Allowing liquid to stand on hardwood floors for any length of time can cause them to warp. It can also degrade the finish and alter the coloring. DO: Use Bona – Bona hardwood floor cleaner is our go-to product for cleaning floors without ruining the finish. DO: Keep Humidity Neutral – If your home is too dry, your hardwood floors can dry out. If your home is too humid, your hardwood floors can become saturated, swell, and warp. The optimal humidity level for hardwood floors is between 35% and 55%. DO: Keep Your Temperature in Check – Extremes in heat and cold can also warp your hardwood floors. Try to keep your home’s internal temperature between 65- and 75-degrees. DO: Use Runners and Rugs in High-Traffic Areas – Certain areas of your home see more foot traffic than others. These might include entryways; hallways; and the area in front of your kitchen sink, dishwasher, and stove. Use runners and rugs to protect these high traffic areas. DO: Use Felt Caps on Chair Legs – It’s easy for chair legs to scratch hardwood floors as you get up and sit down. To avoid them doing so, cover the base of each leg with a felt cap. DON’T: Slide Heavy Items – Whether you’re rearranging or moving, it can be tempting to slide heavy items like a couch or table. Avoid doing so, as they can easily scratch your floor. Rather, use an air sled or blanket to slide them. DON’T: Let Direct Sunlight Flood Only a Section of Your Floor – Sunlight will cause your hardwood floor to fade over time. If you allow it to only flood one section of your floor, that section will become unevenly discolored Rather, use blinds and rugs to protect your floor. DON’T: Clean Your Floor with Vinegar – In decades past, homeowners often cleaned their hardwood floors with a mixture of vinegar and water. Unfortunately, this etches away the finish over time. DON’T: Clean Your Floors with Soap – Using soap to clean your floors can seem like a good idea. Unfortunately, it leaves a film over your floors that can attract dust, cause them to look dirty, and make your floors become slick. DON’T: Walk in High Heals – High heels or poorly maintained shoes can easily scratch your hardwood floor. Save your feet and your floor by waiting until you leave the house to put them on. Ready to add hardwood floors to your Tucson home? Let’s talk.